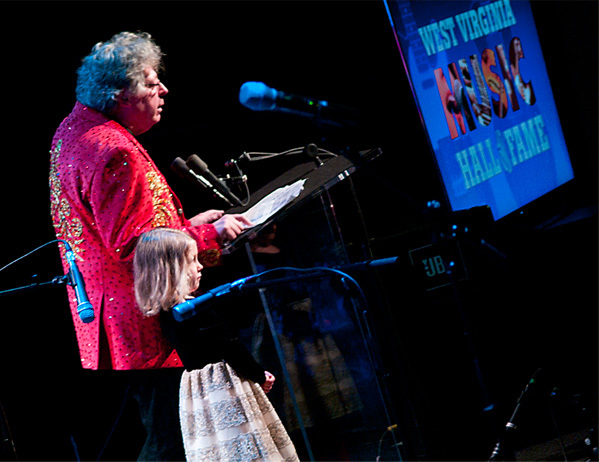 Hall of Fame Executive Director Michael Lipton is joined by his daughter Lulu in making his opening remarks. 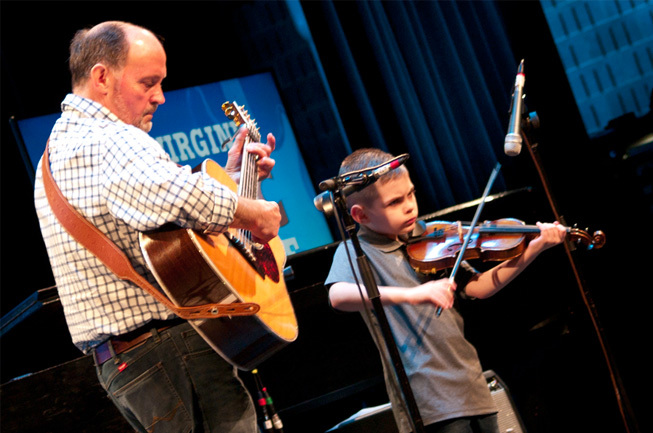 Fiddle prodigy Liam Farley was among the pre-show performers. 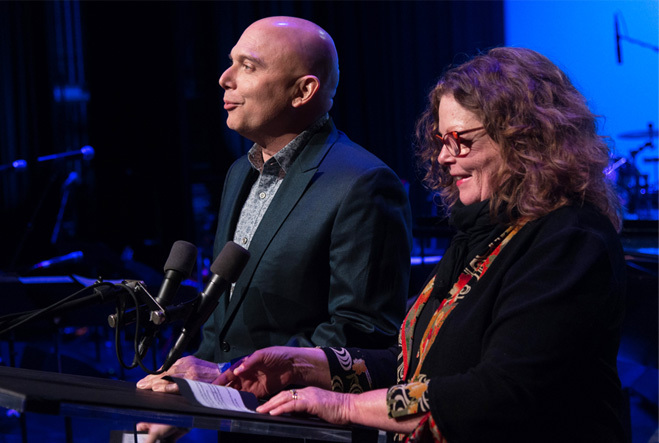 Co-hosts for the evening were Tony-winning actor Michael Cerveris and singer Mollie O’Brien. 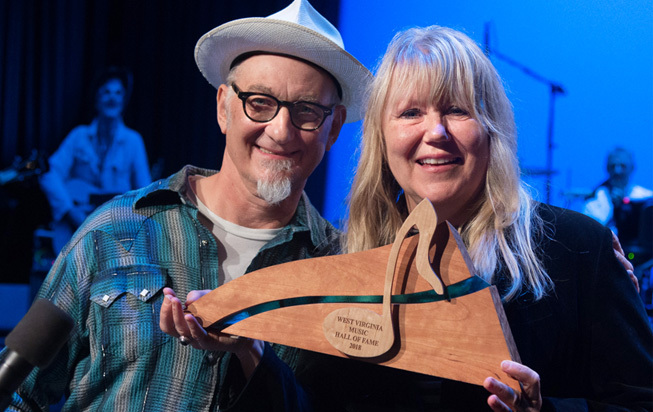 Rick Miller of Southern Culture on the Skids presented Hasil Adkins’s Hall of Fame Induction award to Norton Records co-founder Miriam Linna. 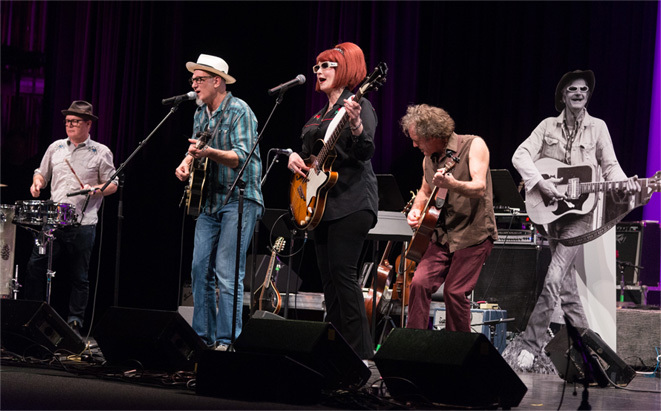 Southern Culture on the Skids were joined by Alan Griffith in performing a selection of Hasil Adkins songs. 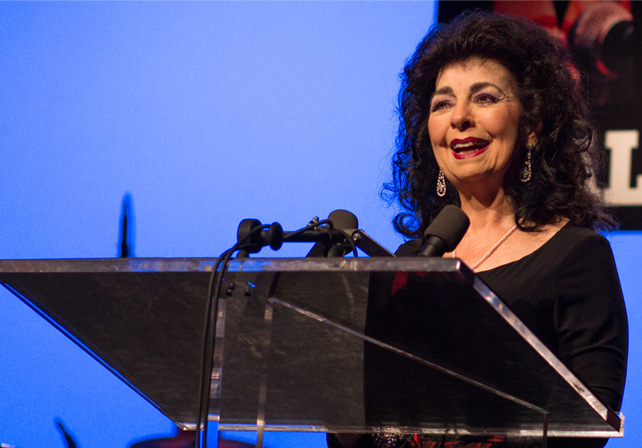 2013 Hall of Fame Inductee Tim O’Brien presented Frank Hutchison’s posthumous award to Hutchison biographer Gloria Raheja. 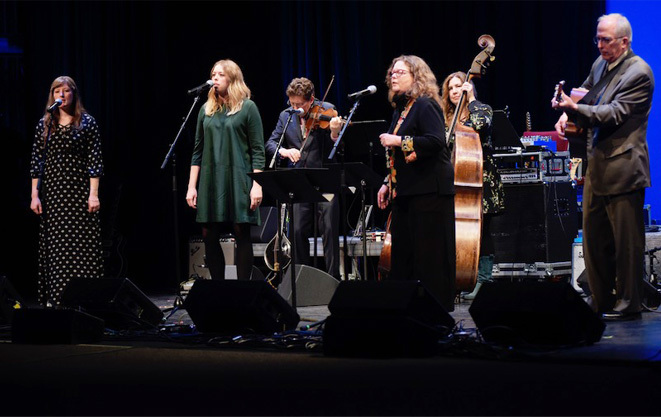 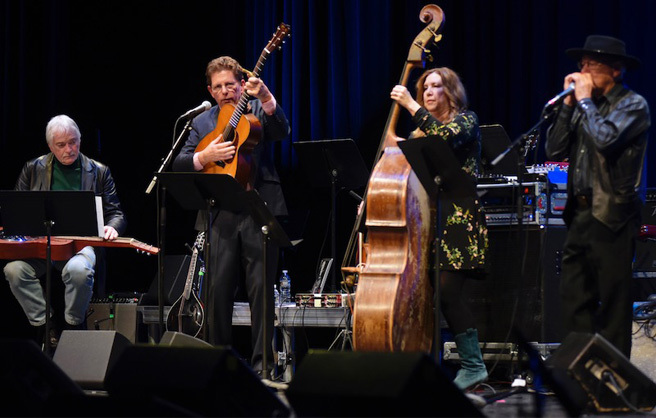 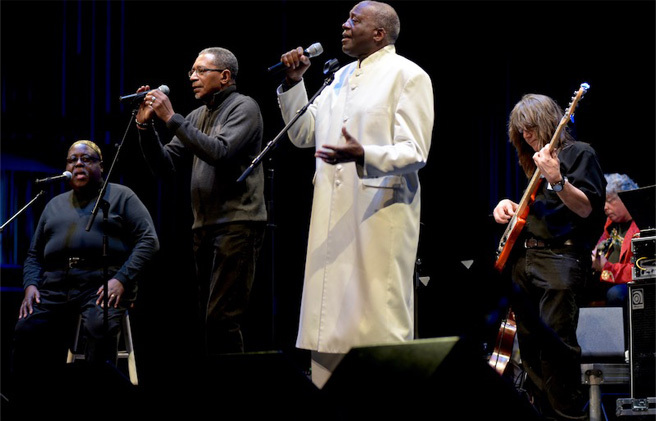 Hall of Fame Inductees Russ Hicks, Tim O’Brien and Charlie McCoy were joined by bassist Missy Raines and the house band in performing songs associated with the late Frank Hutchison. 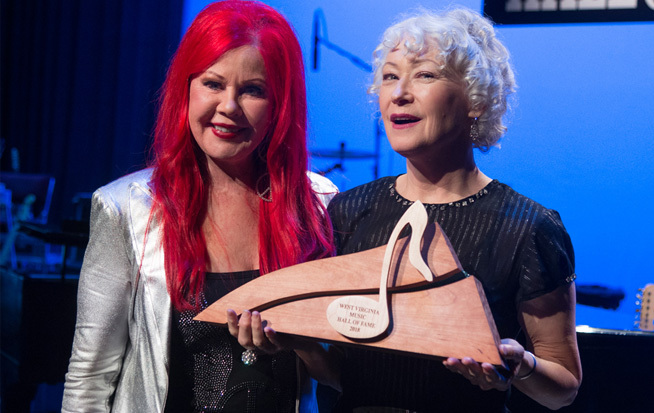 Kate Pierson of the B-52s was on hand to present the Induction award to her long-time friend Ann Magnuson. 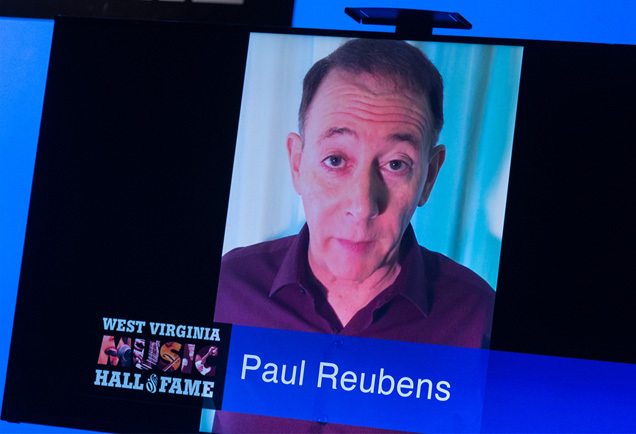 Long-time Ann Magnuson fan Paul Reubens – aka Pee Wee Herman – sent along a video to congratulate Ann on her induction. 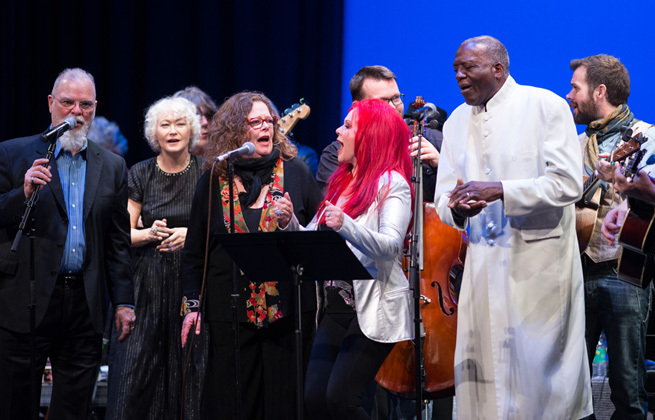 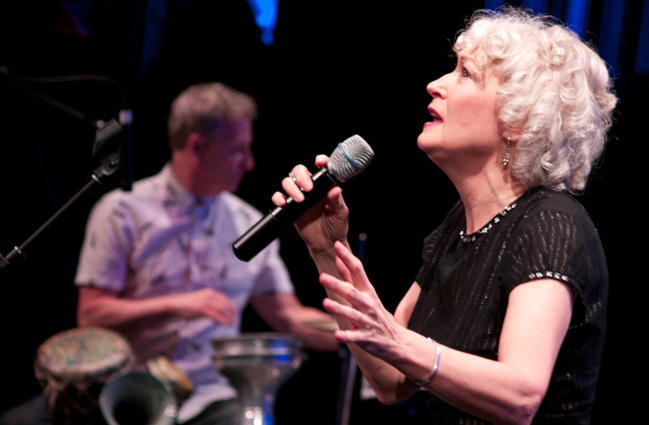 2018 Inductee Ann Magnuson performed a medley of her songs. 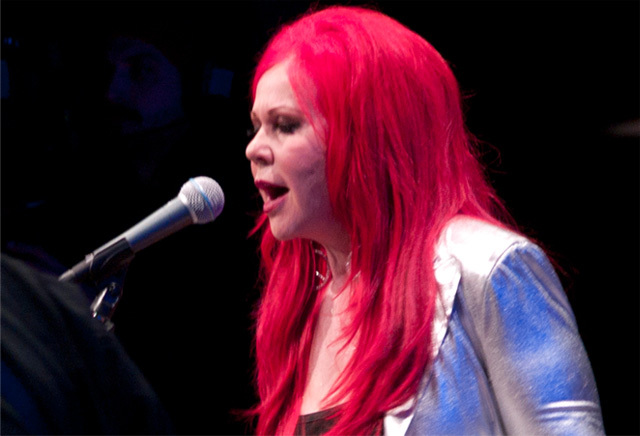 B-52s singer Kate Pierson joined Ann Magnuson on one of her songs. 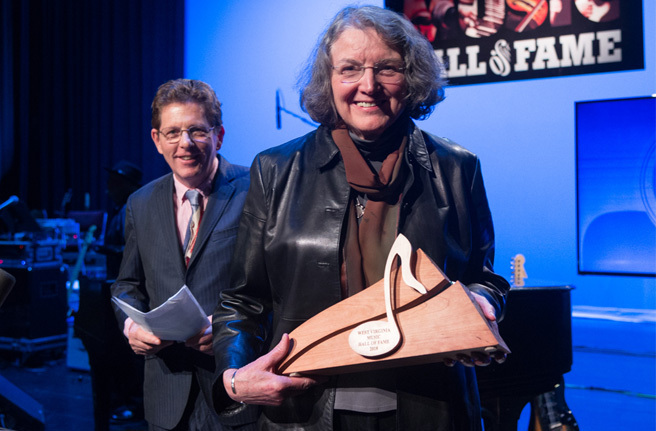 Carol Lee Cooper presented the Spirit Award to WWVA and the Wheeling Jamboree. 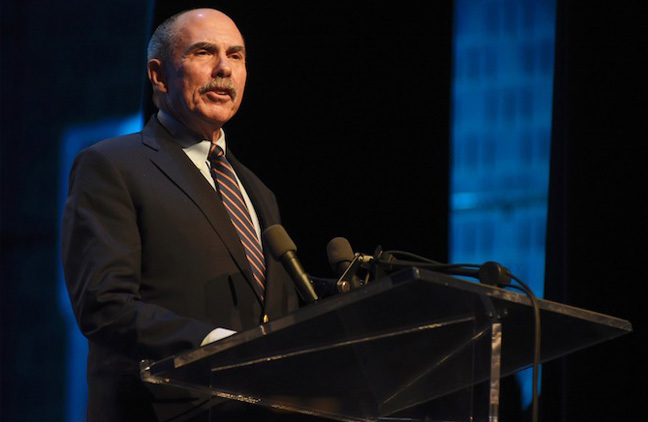 The Honorable Bob Wise, former Governor of West Virginia, presented the Induction award to The Morris Brothers. 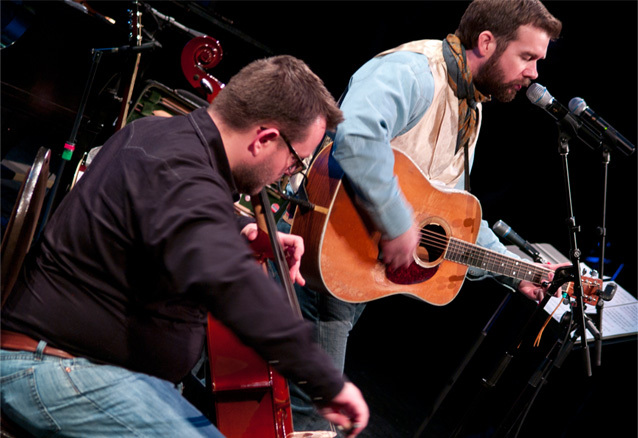 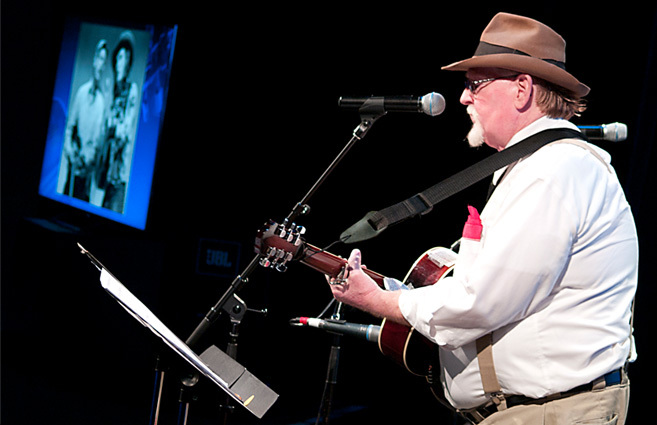 Jack Morris and Peter Fox performed “John Henry,” a song associated with The Morris Brothers. 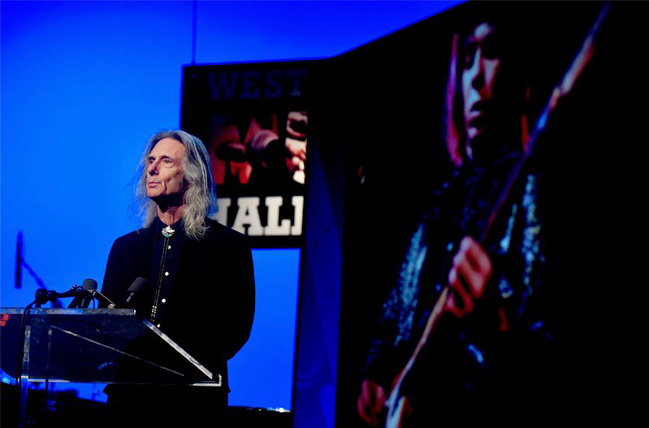 Legendary rock guitarist Lenny Kaye presented the award for the late Fred “Sonic” Smith. 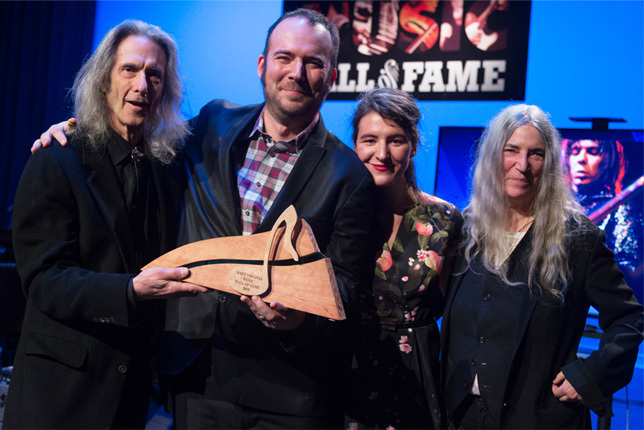 Lenny Kaye presented Fred “Sonic” Smith’s posthumous award to Smith’s children, Jackson and Jesse Paris, and his wife Patti Smith. 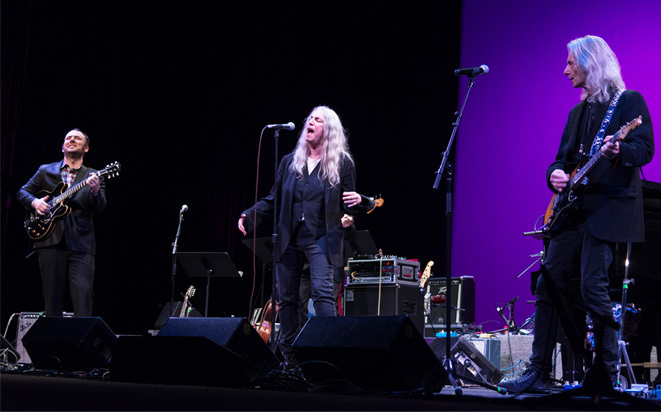 Rock legend and writer Patti Smith brought the house down with an inspired take on her song “Because the Night,” co-written with Bruce Springsteen. 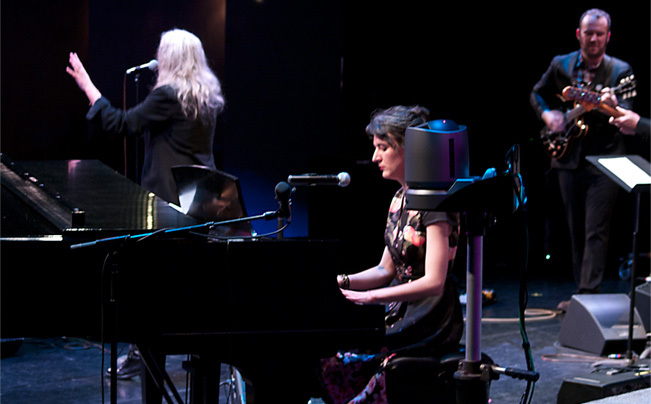 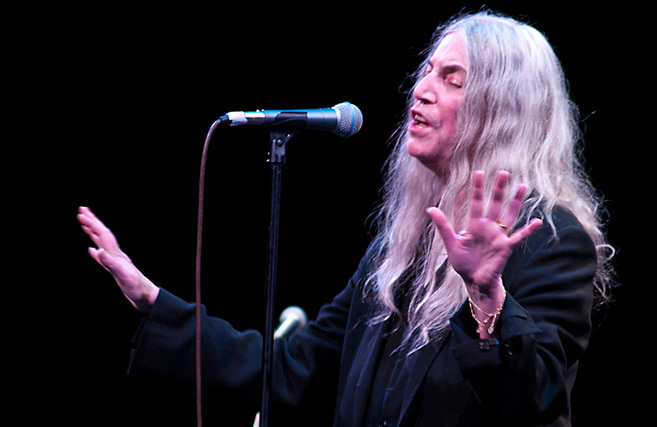 Patti Smith was accompanied by her children, Jesse Paris on piano and Jackson on guitar. 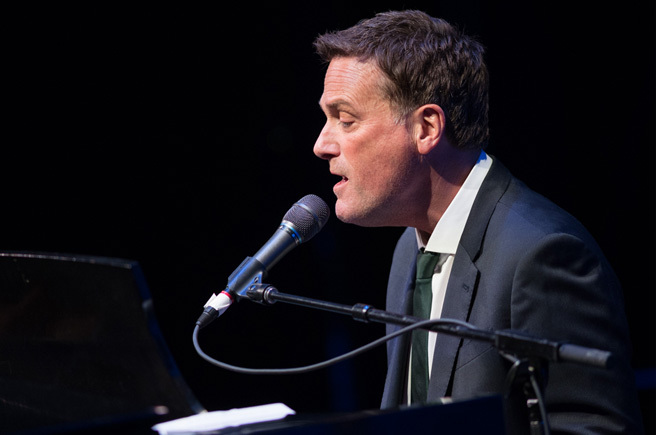 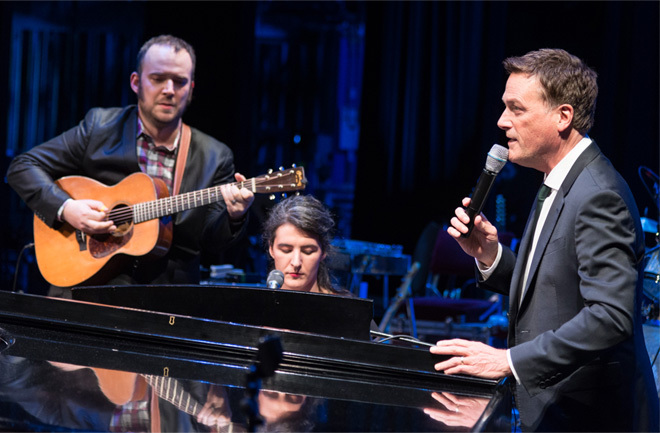 Michael W. Smith performed three of his best known songs. 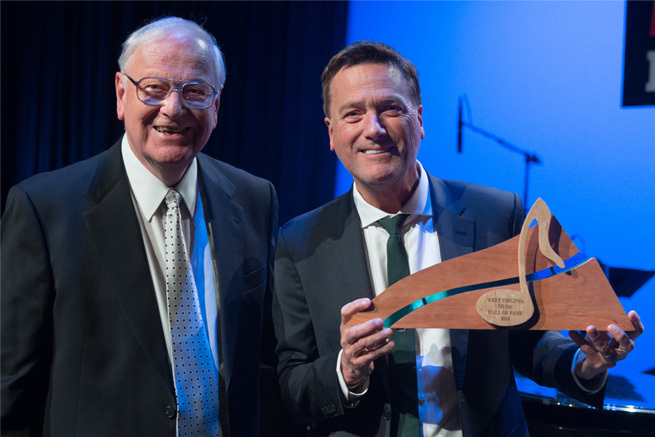 Michael W. Smith was joined by Jackson Smith and Jesse Paris Smith, who happen to be long-time fans of the 2018 Inductee. 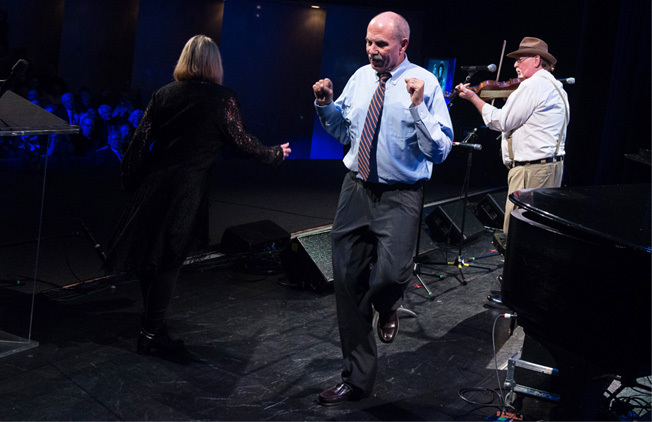 All of the Inductees and performers gathered for a finale of “Hillbilly Fever” in tribute to the late Little Jimmy Dickens.